Rüsselsheim. The eagerly-awaited new Opel Corsa GSi has arrived on the market. With turbo boost and OPC chassis the newcomer represents a machine for true connoisseurs. After the Insignia, the Corsa is the second GSi model now on offer. It impresses with its ultra-precise OPC chassis – for exemplary handling and short braking distances. 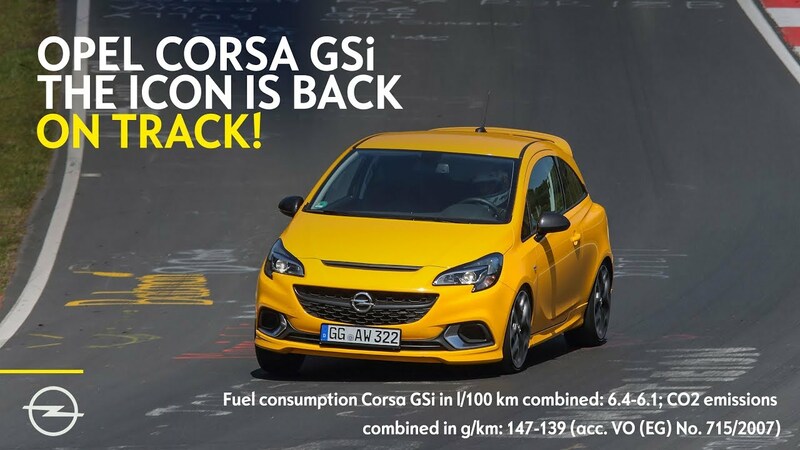 The Corsa GSi is powered by Opel’s lively 1.4-litre turbo with 110 kW/150 hp and 220 Nm of torque (fuel consumption1 l/100 km: 8.0-7.7 urban, 5.5-5.1 extra-urban, 6.4-6.1 combined, CO2 g/km 147-139 combined). Mated to a short-ratio, six-speed gearbox, the four-cylinder power unit delivers outstanding punch in second and third gears, as well as a maximum torque plateau from 3,000 to 4,500 rpm. The OPC chassis and the disc brakes with red calipers have been set up on the legendary Nürburgring “Nordschleife” racetrack by Opel’s Director Performance Cars and Motorsport, Volker Strycek. Agile handling and short braking distances are guaranteed, especially when combined with the optional 18-inch light alloy wheels with 215/40 ZR18 sports tyres. The Corsa GSi family was founded in 1988 by the 100 hp Corsa A (now a much sought-after classic) and reached a brief hiatus in 2012 with the Corsa D. Until now: the Corsa GSi is back.